Cozumel once again attracted a record-breaking number of visitors to one of the world’s busiest cruise ports last year and is celebrating an unprecedented year amid a slate of new tourism additions. Cozumel recorded a 4% increase reaching more than four million cruise passengers, approximately 54% of Mexico’s total number of cruise passengers received in 2018. The announcement follows a prosperous year for the island which saw the historic arrival of the world’s largest cruise, Symphony of the Seas, in November. 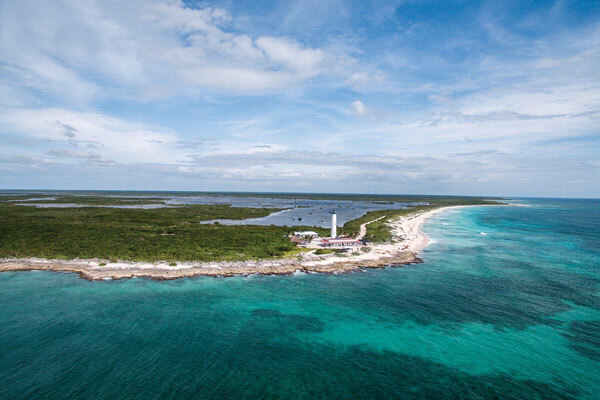 The destination of Quintana Roo captured five million cruisers and about 70% of Mexico’s overall cruise travellers, according to the General Directorate of Ports of the Ministry of Communications and Transportation. Cozumel is internationally renowned for not only being a cruise and beach destination, but for being a top diving destination and offering an array of international sports events including the full and half IRONMAN, GFNY Cozumel cycling event, among others. The Cozumel Carnival, taking place at the end of the month, is one of the oldest carnivals in Mexico. Founded in 1874 by migrating families who made a new home in Cozumel, the colourful festivities traditionally run the month leading up to Lent, beginning with pre-carnival events from Feb. 2-26 and the carnival held Feb. 27 to March 6.